LOCK AND LOAD! Our nation is under attack from an evil alliance of highly trained forces known as the KRA. As the leader of the free world, YOU have to stand and fight. 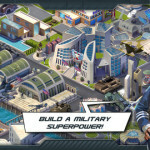 Build your military base, train your army, and battle against or ally with players from all over the world online in order to defeat the enemy for good! 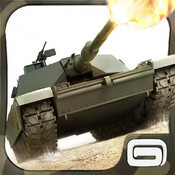 – Enjoy the most beautiful war simulation on smartphone with outstanding graphics & animations, plus extra-realistic units & buildings. 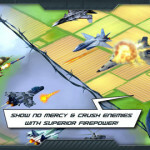 – Engage in innovative, strategic and breathtaking battles across the globe, in the air and on the ground (desert, urban and snow), and unleash deadly power-ups to crush your enemy before he crushes you! 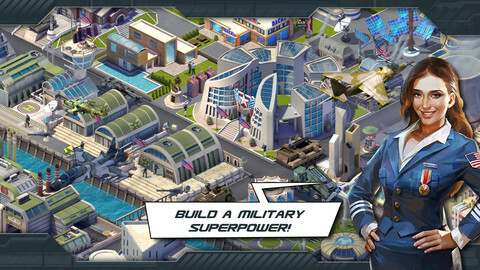 – Manage an extensive economy: Collect resources, build and develop a wide variety of units and buildings & upgrade your base to become the top superpower. 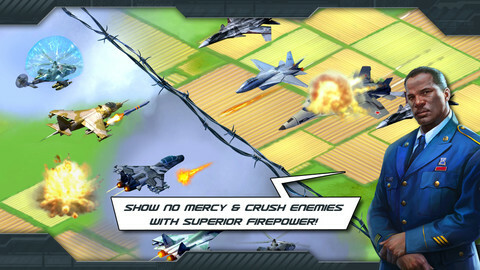 – Immerse yourself in a long, rich and dynamic campaign with more than 75 missions to complete! 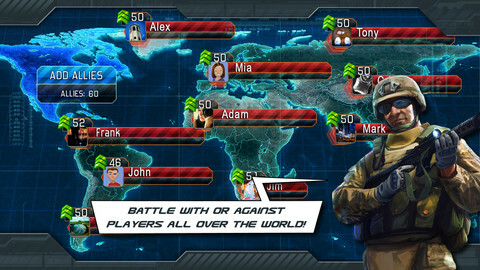 – Take action and attack any player in the world, loot them for bonuses and climb up the leaderboards! 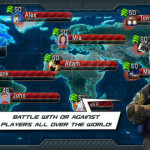 – Connect with your friends through Facebook or Gameloft LIVE! and borrow their units during battle to defeat tough enemies. 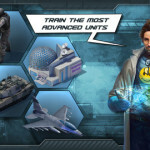 – Unlock loads of achievements! 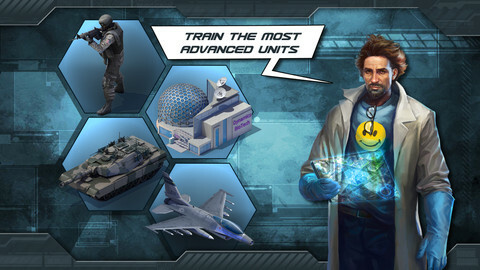 √ You can now fuse units with power-ups to create more powerful units! √ New players are automatically protected for 5 days!